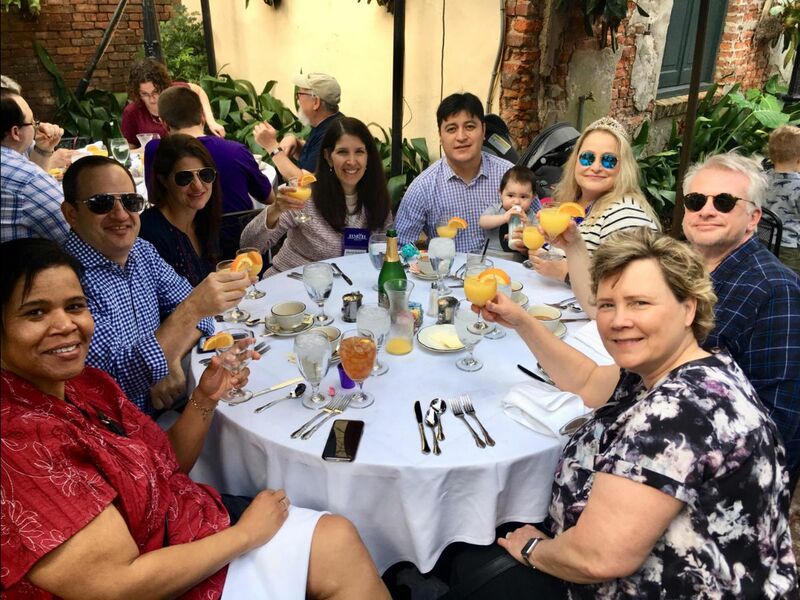 In February 2019, Firm President Sheryl L. Axelrod and Firm Partner Lisa J. Savitt attended the National Association of Minority and Women Owned Law Firms (NAMWOLF) Driving Diversity & Leadership Conference in New Orleans, Louisiana. There, they met with fellow NAMWOLF law firm members and supportive in-house counsel, attended numerous CLEs, presentations and receptions, and participated in their respective Practice Area Committee (PAC) events. As co-chair of the International PAC, Lisa helped organize a CLE about how to investigate an international scandal and the pitfalls to avoid creating another one. See the photos below highlighting a few of the special moments. 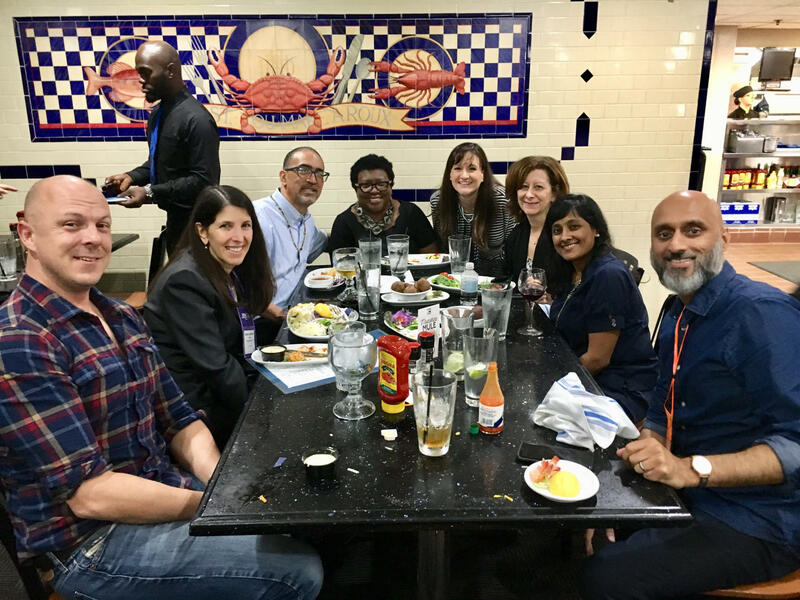 Sheryl and Lisa enjoying great company over dinner with NAMWOLF supportive in-house counsel Theos McKinney, his wife, Sylvia McKinney, external counsel Shayna Fernandez Watts and Radha Thiagarajan, sponsor Rudhir Krishtel, and Shayna’s husband at Deanies Seafood Restaurant at #NAMWOLFinNOLA2019. 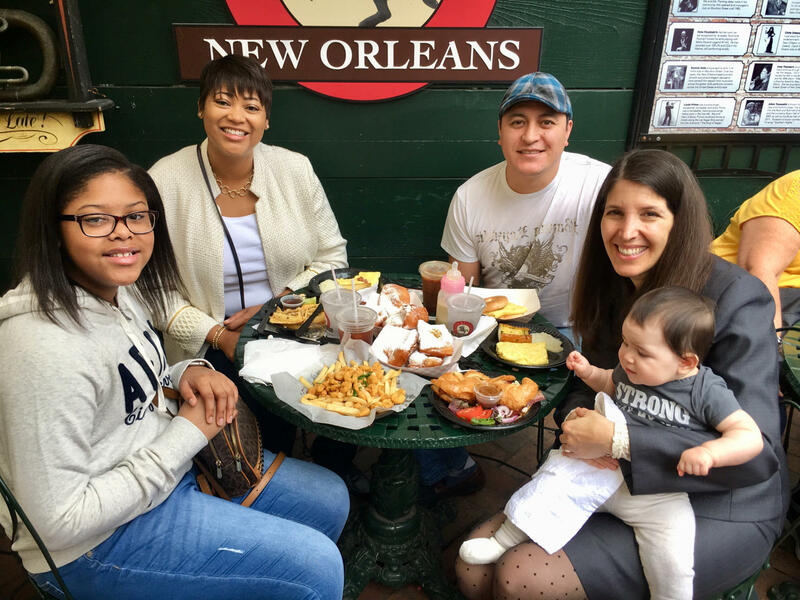 Sheryl, her husband,Tonio, and their baby, Chloe enjoying breakfast with Amanda Alexander Taylor and her daughter at Café Beignet aI #NAMWOLFinNOLA2019.